Four people tested positive for dengue in Peshawar as rains brought cooler temperature and created more pools of accumulated water. The Khyber-Pakhtunkhwa health department confirmed the four new cases. 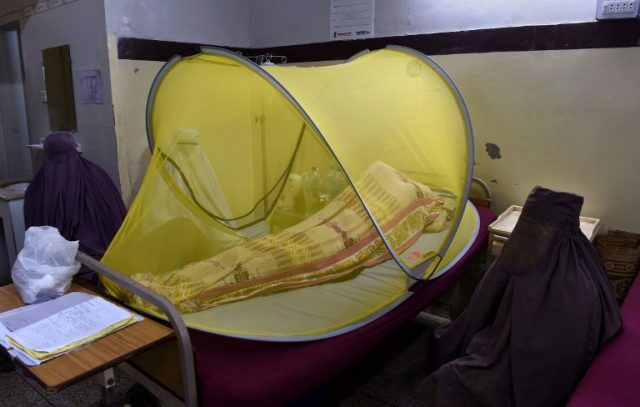 According to the Dengue Response Unit, 58-year-old Zar Wali, a resident of Achini, was admitted to Khyber Teaching Hospital Peshawar. He tested positive, with dengue larva found in his blood. Officials at the unit said that they sent a team to Achini. Three more people tested positive for dengue. Dengue larva was found in 10 houses. The team launched a fumigation drive in the area along with an awareness campaign. They educated people on how to protect themselves from the outbreak of the mosquito-borne disease. According to them, temperature below 40 degrees Celsius and intermittent rains could lead to a dengue outbreak. This year, 22 cases of dengue were reported in Khyber-Pakhtunkhwa. Sixteen of these people who tested positive visited other provinces. Last year, at least 60 people died of dengue in Peshawar.